Ellis Dyson & the Shambles expertly blends old-time influences ranging from early New Orleans jazz to Piedmont murder ballads. The result: whiskey-soaked, foot-stompin’ original songs that bring party music of departed eras to crowds both young and old. The Shambles have made waves with their theatrical live shows and dazzling musicianship. The original compositions evoke a bygone era while contributing to the vast tradition of storytelling through songwriting. The writing and arranging is deliberately done as a full group, and they are currently at work on their third full length record. They have performed hundreds of shows throughout the east coast and midwest and have shared a bill with national acts such as Lake Street Dive, Rebirth Brass Band, Pokey Lafarge, and Mipso, to name a few. 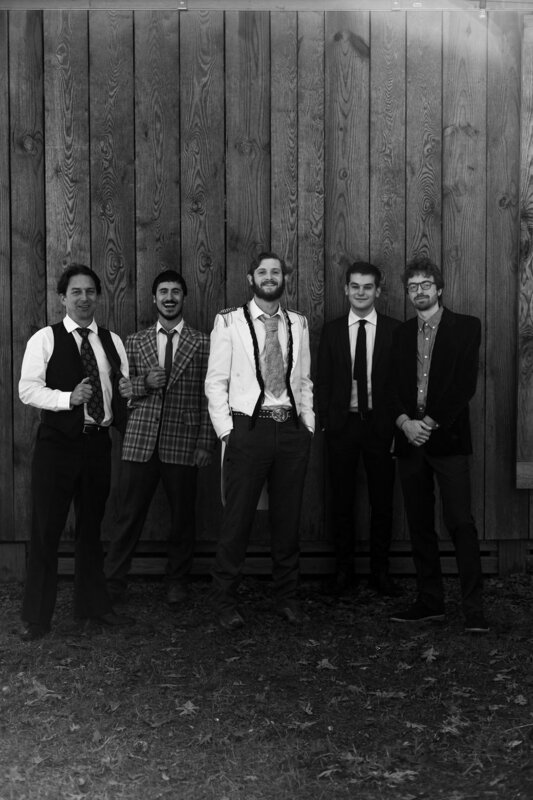 The band consists of Ellis Dyson (banjo, vocals), Eli Wittmann (acoustic guitar), Butler Knowles (upright bass), Danny Abrams (soprano/alto/baritone saxophones, clarinet, vocals), and Danny Grewen (trombone, vocals). 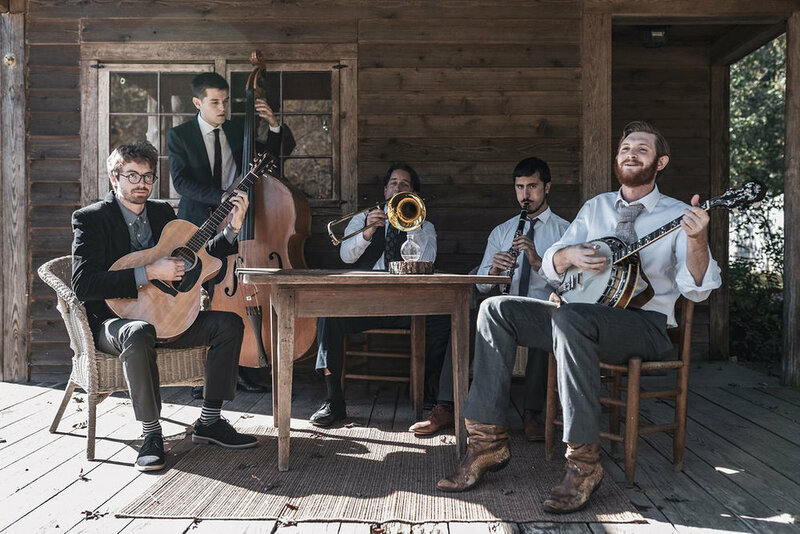 They came together through a series of fortuitous meetings in Chapel Hill, N.C. Beginning back in 2013 as a saxophone and banjo duo, Ellis Dyson & the Shambles has grown into a freight train string band with a flashy horn section.